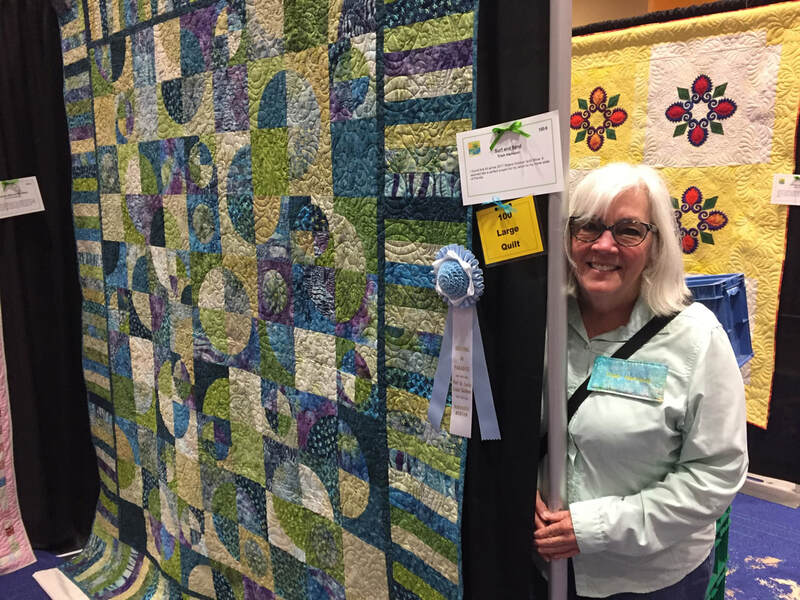 I am so honored to have been selected as West Sound Quilters' 2019 Quilt Show's Featured Artist! I made my first quilt in 2003 and career busy-ness kept me from moving very quickly along my particular quilty path. I joined West Sound Quilters in 2011 and everything changed. Moreso after I retired from Navy Civilian service in 2012. I have learned so many things from my West Sound Quilters! I learned fairly early in my quilting addiction that I wanted to quilt my own quilts. How else could I 'own' the quilting of my quilts? So I bought a friend's rig of a frame and domestic machine. That lasted one quilt. "Okay, I need to go bigger ..." and then bought an APQS Lenni long-arm rig in 2013. Little did I know what a great choice Lenni was. I have come to love the intricate and technical parts of piecing quilt tops, moreso than the quilting that finishes them. My skills about the finishing are improving but the piecing remains my focal interest.